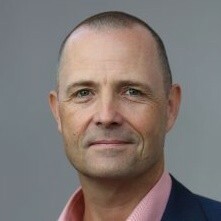 Cai Kjaer is the co-founder/CEO of SWOOP Analytics. SWOOP is a leading enterprise social network analytics platform that uses data from Microsoft Yammer and Workplace by Facebook to help organisations and their people to become better collaborators. SWOOP also collaborates with leading universities such as Stanford, Sydney University and Griffith University to ensure that metrics are evidence-based and valid.